From 16 to 29 May, SIA Jūrmalas autobusu satiksme (JAS) that provides passenger transport services in Jūrmala will conduct a passenger survey. The company wants to find out the opinion of JAS passengers regarding the quality of public transport services. The survey will be conducted for routes serviced by JAS in Jūrmala. This is the first time when such surveying of JAS passengers will take place. We encourage all passengers to take an active part in the survey, expressing their opinion and giving recommendations on the improvements and updates that are necessary for ensuring more convenient and accessible public transport for inhabitants of Jūrmala. This would help the company to ensure its passengers good service with high availability, thus facilitating more frequent use of JAS public transport services. Ask the bus driver for the survey and hand it over to him once finished. From 1 May, JAS passengers can call 24/7 helpline —+371 67 11 33 22. They will be able to find out information about changes in routes or schedules and provide recommendations. SIA “Jūrmalas autobusu satiksme” provides public transport services in Jūrmala since 1958. The company employs 53 bus and minibus drivers who ensure passenger transportation in 9 routes around Jūrmala. On 8 March, Latvia celebrated the International Women’s Day. During morning runs, SIA “Jūrmalas autobusu satiksme” (JAS) greeted women passengers with tulips. “Jūrmalas autobusu satiksme” had prepared a nice and unexpected surprise for women on 8 March. Bus drivers were greeting the ladies who took morning runs with “Jūrmalas autobusu satiksme” on the International Women’s Day with tulips. The first Woman’s Day was celebrated in the United States in 1909 when the Socialist Party of America designated the last Sunday in February to be the National Women’s Day. In Italy, men give women yellow mimosas on this day. In countries such as Bosnia and Herzegovina, Brazil, Bulgaria, Croatia, Latvia, Estonia, Lithuania, Poland, Macedonia, Moldova, Montenegro, Romania, Russia, Serbia, Slovakia, Slovenia have a custom to gift women flowers on this day. From 20 February, SIA “Autobusu parks Jūrmala–SV” that provides public transport services in Jūrmala has changed its name. From now on, the company’s new name is SIA “Jūrmalas autobusu satiksme” (JAS). Along with the name change, the company transformed its visual identity, developed a new website and made several important improvements to increase passenger comfort level and safety in Jūrmala’s public transport. During this year, the company will gradually replace the older buses to newer models so that the average age of the vehicles does not exceed 5 years. All public transport vehicles will have audio/visual information and cameras on-board to ensure passenger safety and to have the ability to check individual cases. Thanks to modern technology, the passengers will have access to JAS mobile application for smart phones and tablets. The passenger will have an easy and fast online access to bus and minibus schedules, as well as they will be able to track bus location and see how long they have to wait until the bus arrives at their stop. 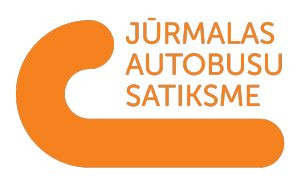 Soon, the passengers will have access to a new and modern website www.jurmalassatiksme.lv, which will provide information about the news of the company, changes in routes and schedules. Furthermore, people will be able to find out this information also by calling the free 24/7 helpline. To ensure direct communication between the passengers and the company, JAS will create its social media presence on various platforms: Facebook, Twitter and Youtube. SIA “Jūrmalas autobusu satiksme” provides public transport services in Jūrmala since 1958. Currently, there are 9 routes around Jūrmala with 23 buses and minibuses.